Here is your Eye Test. Lets test how good is your observational skills. In this picture puzzle, your challenge is to counting the number of triangles you can find this given picture. Lets see if you can get the correct answer in your first try? Please do post your answer in the comments section of this post. 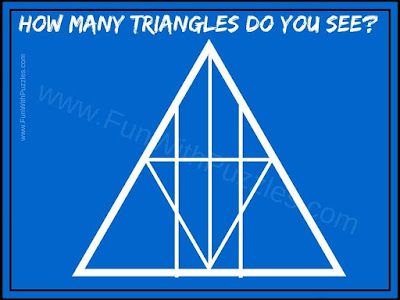 How Many Triangles do you see in this picture puzzle?